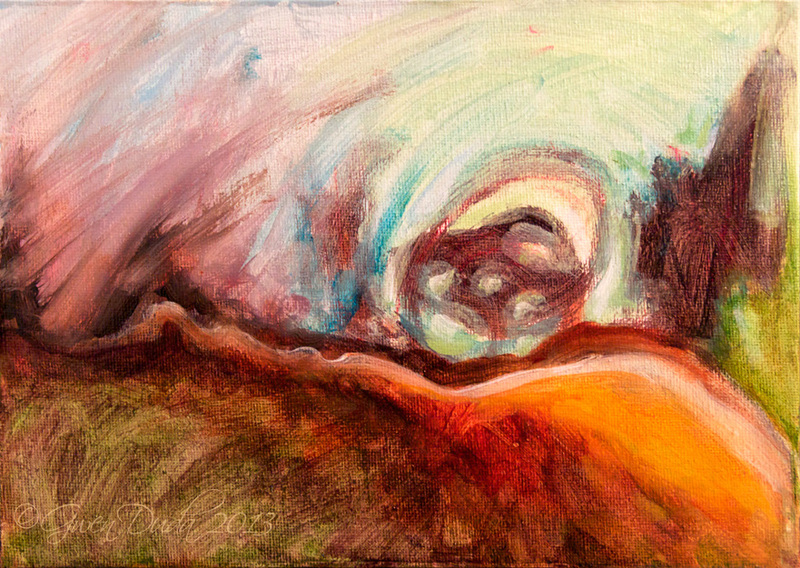 This organic abstract emerged with what appears to be the cog of a wheel silhouetted against the dramatic horizon. The brush work is boldly active but not overwhelmingly so. It's a hauntingly beautiful image of the remnant of the mechanical age.